Many thanks, we can clearly see that the clip is shorter than it is expected to be, there are two instances of it in the XML, I have tried to modify both by manually trimming the durations but I cannot get it to go through due to the massive offsets. Would you be able to trim the clip in question and then re-apply this new shorter clip in place of the original. 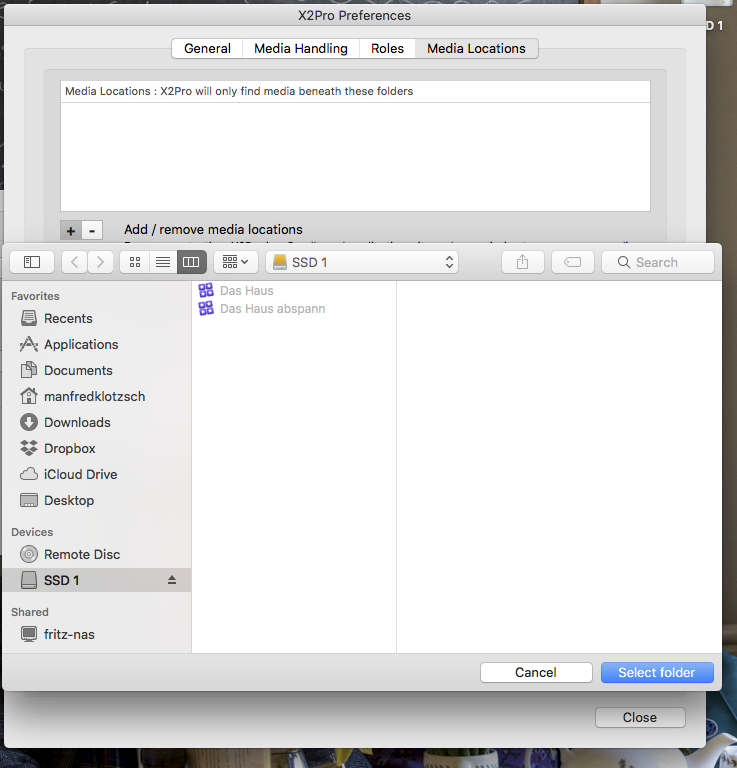 The file exists at the place. I tried to ad the folder: Das Haus.fcpbundle to media locations but I could not ad the folder only the complete ssd , I enclose two screen shots. As I look at the window, because I want to see if it stops again, I see that it works with the first mp3 clip Nocturne Op 15 by Podington Bear and stops when Walking Barefoot on Grass appeared. I can send you the mp3 clip it is only 5,4 MB. 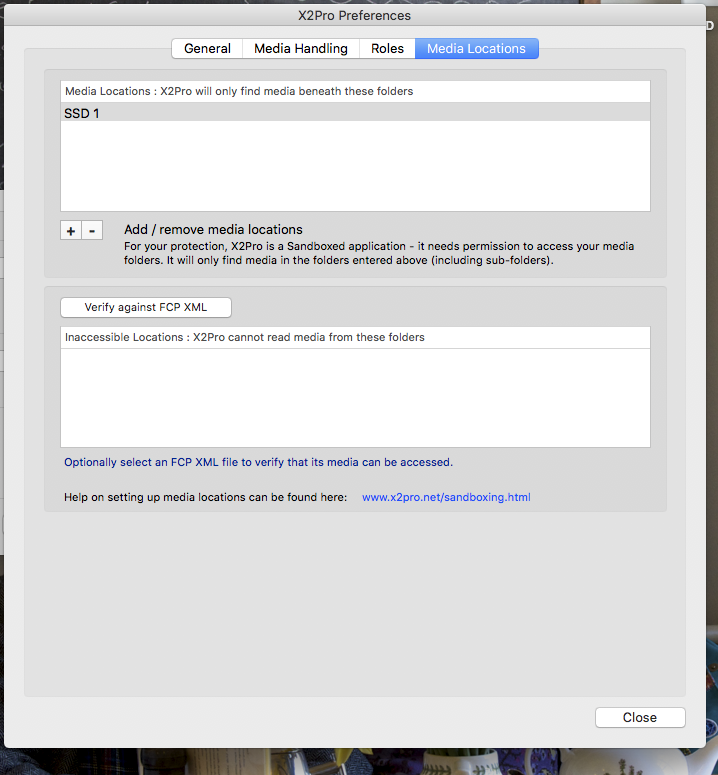 If it does, can you specifically add the SSD 201/Das hause.fcpbundle into X2Pro's media locations. 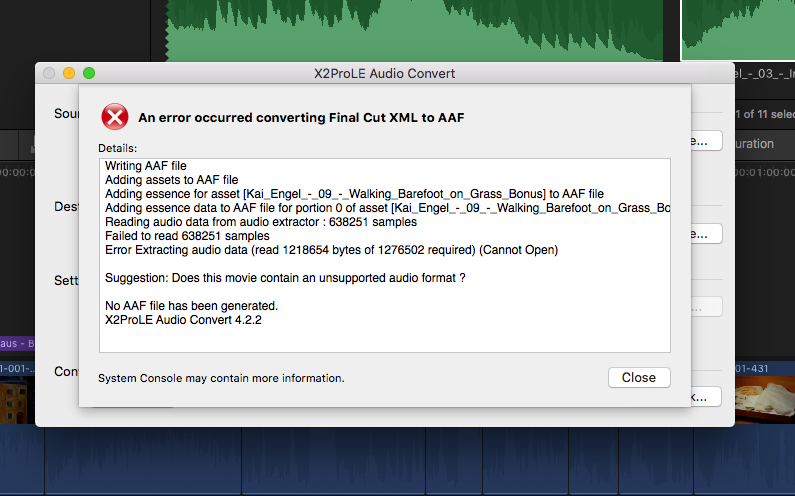 If it still fails with the same error then we will need a copy of the mp3 clip if that would be ok, if it is ok for you to supply to us we will provide you with a ftp location for you to upload it to us. Would you be able to send us the XML and also the text from the console please? 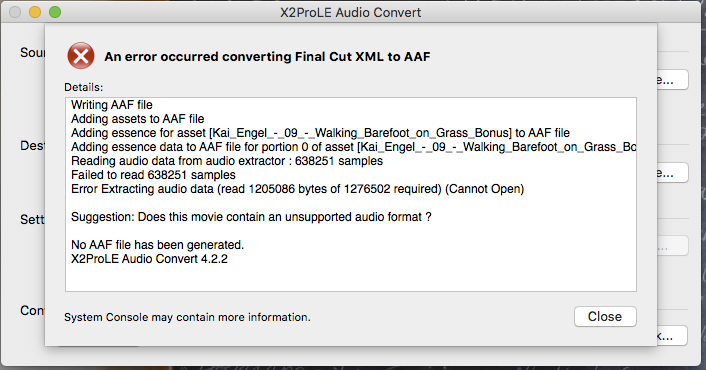 X2ProLe crashes during creating aaf, I imported as usual mp3 files into FCPX, in the past there were never any problems creating aaf with X2ProLe, now I tried it twice always the same result.